Knowing that it is not an easy task to find a good service provider, we try to be the best in what we do to keep our clients completely satisfied. This is one of the reasons of why they are willing to come back and recommend us to other people. 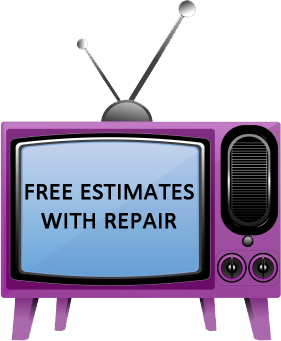 Please keep in mind that all work is warranted, so if anything goes wrong after we fix your TV, we will come again for no cost to you. All makes, models and sizes of all TV brands including: Sony, Panasonic, Mitsubishi, Zenith, Polaroid, RCA/GE, Hitachi, Vizio, Philips and Samsung!